The Russian Empire under the tsars was geographically vast and ethnically diverse. In the late nineteenth century economic hardship, low wages, and poor working conditions led to massive strikes in major industries. Ethnic groups asserted their right to maintain their distinct cultural identities. Tsar Nicholas II, who ruled from 1894 until the Russian Revolution of 1917 and the rise of communism, promoted an official policy of assimilation. This was called “Russification” of ethnic minorities such as Poles and Finns; it established Russian as the only language allowed in schools and administrative offices and encouraged conversion of the Jews to the Russian Orthodox Church. Instead of the desired effect of unification as a Russian people, the policy resulted in greater intercultural strife. Nicholas publicly blamed Russia’s problems on the Jews, and imposed severe restrictions—including more than a thousand laws—on Russia’s Jewry. It was against the law to speak Hebrew or Yiddish in public. Travel and settlement were severely limited for them. Jews could not serve in the prestigious sectors of the armed forces although conscription into the basic army was compulsory, even for children. Jews could not vote in district elections, but still had to pay taxes. Many industries and professions were closed to them. The Russian Orthodox Church sponsored aggressive campaigns to convert Jews to Christianity. It was into this unfavorable environment that Eliezer Finkel, Edgar Villchur’s maternal grandfather, was born in 1849. He lived in Ekaterinoslav, an industrial city in the heart of the Ukraine. In the late nineteenth century the city’s population of one hundred thousand was forty-five percent Russian, thirty-five percent Jewish, and fifteen percent Ukrainian. The city was named for the Tsarina Catherine, who was later known as Catherine the Great and ruled from 1762 to 1798. Today it is an industrial city in central Ukraine called Dnepropetrovsk, named for the Dnieper River, on which it lies. 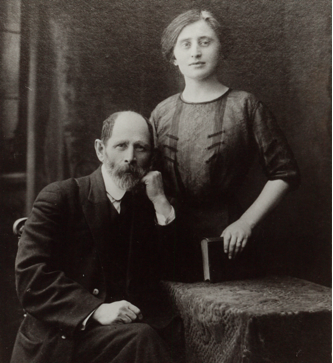 Eliezer and Olga Vinograd. Their arranged marriage took place when he was fourteen and she was twelve. Arranged marriage was the norm in Russia until the early twentieth century. At the age of fourteen, Eliezer Finkel was married to Olga, who was twelve. He was a scholarly young man, and wanted to pursue higher education. But the tsar had placed a quota on the number of Jews who could study in secondary schools and universities: ten percent within the Jewish district (The Pale of Settlement, which consisted of the westernmost fifth of the empire, established by Catherine as the only place Jews could live on a permanent basis), three percent in the big cities of Moscow and Saint Petersburg, and five percent in the rest of the Russian empire. One way to circumvent the restrictions on Jews in education was through official “adoption” by a Gentile family. So Eliezer Finkel had himself adopted by the Christian Vinograd family, and was thus able to attend gymnasium (secondary school). Such adoptions had government approval, because they were considered a kind of Russification. By giving up one’s Jewish family name, it was thought that the “adoptee” was giving up Jewish ways, whether or not any such assimilation actually took place. Eliezer went on to study mathematics, an interest he instilled in his daughter, Mariam Vinograd Villchur (for whom I am named), and his grandson, Mariam’s son Edgar Villchur. 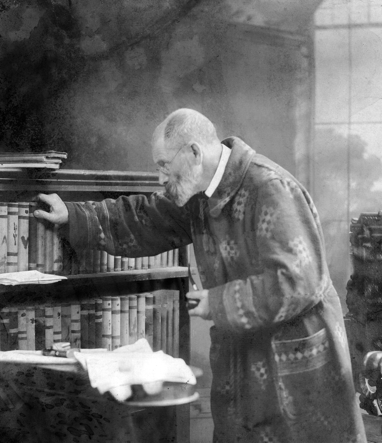 Eliezer Vinograd was a mathematician who loved books and learning. 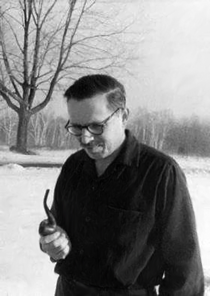 Edgar Villchur on a wintry day in Woodstock, New York, 1960. Edgar smoked a pipe that was nearly identical to the one his grandfather smoked. By the time he was a young man, Eliezer had quit Talmudic school and had become an atheist. He told his wife Olga, “I will put up with your piety if you will put up with my atheism.” Edgar remembered that his grandfather retained that dichotomy of feeling about Judaism throughout his life. On the one hand, Eliezer presided over the Seders in Hebrew every year at Passover. On the other hand, after he emigrated to the United States and settled with on a farm in Connecticut, he paid no attention to the kosher laws: He was delighted when a neighbor gave him a side of bacon in gratitude for Eleizer’s help on the citizenship examination. Eliezer came to America in the first decade of the twentieth century. By mutual agreement, his wife Olga stayed behind when he left Russia, and remained there throughout her life. Of their six children, all but two emigrated to the United States. Eliezer’s name does not appear in the Ellis Island records, nor does that of his son Moisie, perhaps because of difficulties with transliteration from the Cyrillic alphabet. His daughter-in-law Racheleah, however, is listed, as Rosa Vinograd, age twenty-eight, on the manifest of the ship Saint Louis, which arrived in New York City in 1905. Three children were listed as arriving with Rosa: Annie, eight years old; Bessie, six; and Fanny, four. Five years later, the 1910 census shows Rosa and her husband, Moisie (listed as Morris), living in the Bronx with two more children—Celia, four, and Pauline, two. A sixth daughter, Ruth, was born after that census. 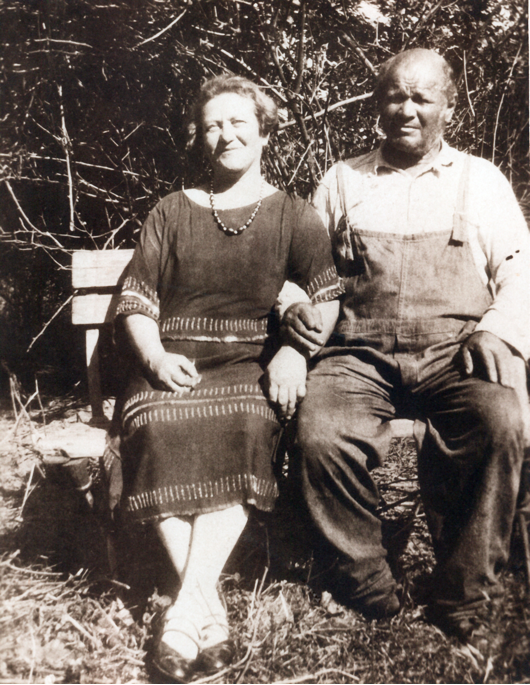 Rosa and Morris Vinograd, Edgar’s aunt and uncle, on their farm in Connecticut. 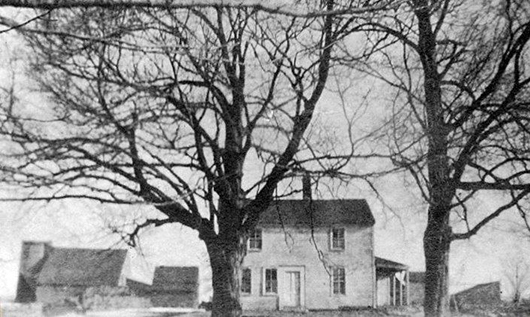 According to the land records of the town of Lebanon, Connecticut, Morris and his brother-in-law, Mark Villchur (Edgar’s father) bought an eighty-six acre farm there in 1919. The 1920 census lists Eliezer as a member of the household with his son Morris and daughter-in-law Rosa and their children on that farm. Edgar Villchur lived on that farm for seven years, starting in 1920, but he missed the census count, having arrived too late in the year. More information on his time there will be found in upcoming blog posts. 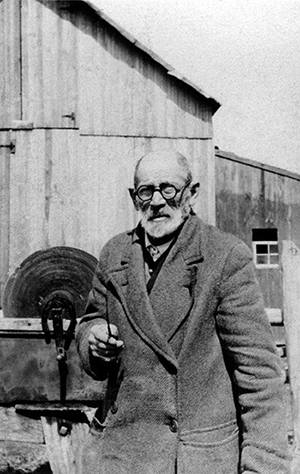 Eliezer Vinograd in front of the barn, around 1920. 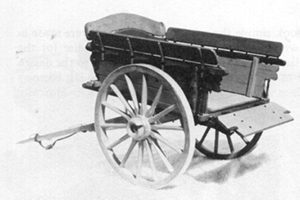 The family drove into town for supplies in either the buggy or the market wagon. In the winter, they used a horse-drawn sleigh. 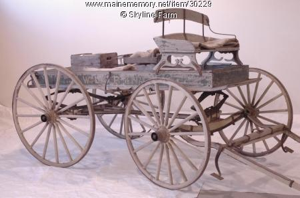 One of their two horses was too big to be hitched to the wagon, so they used the horse named Mary, who was blind. On the way home, they didn’t use the reins at all. They just told Mary to take them home, and she knew the way, even without sight. After one of their trips to town, Edgar’s grandfather drew some water from the well. He gave some to Mary to drink, and then drank some himself from the same cup. Edgar’s father reproached him, saying it was unsanitary. Eliezer said “The Mary, she clean horse!” Edgar used to tell this anecdote with affection, showing his grandfather to be a compassionate person, but also using the story as an example of the fact that, because the Russian language contains no articles, Russians have a lot of difficulty with the use of articles in English. It has become a stereotype, perhaps unfair but nonetheless persistent, that Russians leave out articles, both definite and indefinite, when they speak English. (“Strong like bull!”) Edgar’s grandfather, trying to be more American, put them in where they were unnecessary. They had two fields for alfalfa and corn just for the cows. In the garden they grew potatoes, peas, beans, and other vegetables. They used kerosene lamps for light, and there was no indoor plumbing. 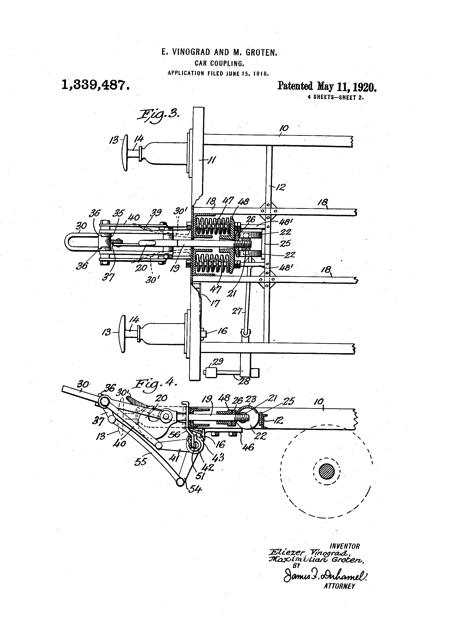 There are more images here of the kind of farm equipment that was used in those days, and what the cycle of seasons was like on an early twentieth century farm. The farm got a telephone before it got electricity. To make a call, one would crank the phone, and the operator would make the connection. Their number was “2 ring 5,” meaning if it rang five times, it was a call for them. On one occasion, Edgar’s aunt called the doctor in Colchester to ask him to come see her sick child. She asked him if he would, as long as he was making the trip, also bring a loaf of bread, some corn flakes, and some laundry soap. He came out in a horse and buggy, traveling an hour and a half, brought the groceries, and treated the young girl. Another time, Sam, the boyfriend (and later husband) of Edgar’s cousin Ruth, came to visit her on the farm. Sam was also interested in mathematics, and he and Edgar’s grandfather, Eliezer, sat up late working on a math problem, which they were not able to solve. Everybody except Eliezer went to bed. In the middle of the night, Eliezer ran up the stairs shouting that he had found the solution. Math was so important to Edgar’s grandfather that he felt no compunction against waking up the entire household in the middle of the night to tell them he had solved the problem. 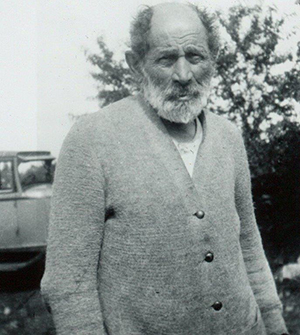 Eliezer Vinograd on the farm in Lebanon, Connecticut, wearing a wool cardigan sweater with leather buttons. 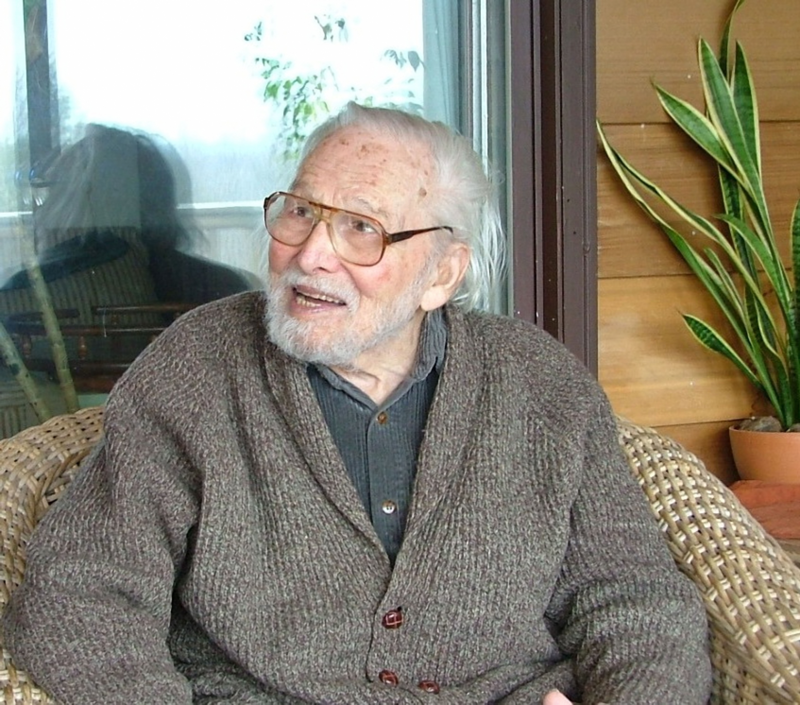 Edgar Villchur, age 88, wearing his favorite sweater, a wool cardigan with leather buttons. Eliezer was an important mentor for his grandson. He taught him to spend his life learning, to use his knowledge, his logic, and his understanding to solve problems, and to pursue his goals. In addition to a love of mathematics and scholarship, Edgar’s grandfather gave him a moral compass, a strong work ethic, and a desire to give back to his community. Edgar Villchur obviously learned those lessons well. I am deeply indebted to the Historical Society of the Town of Lebanon, Connecticut, for their generosity and for their extensive and scrupulous research into my family’s time in that town.